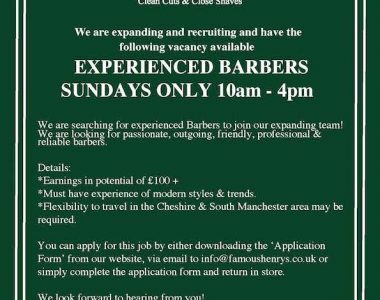 Famous Henrys is one of the fastest growing chain of barbershops in the North West. 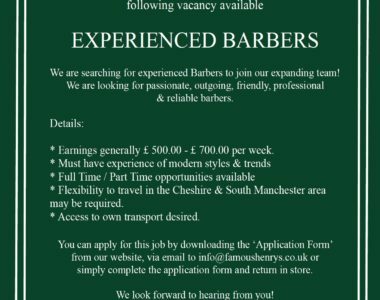 We offer specific 'Famous Henrys' training to all new barbers and have a fantastic management team in place to help support you in your role. We work hard continually developing and training our staff on all aspects of barbering to ensure we keep our standard high.